Shanghai-based pharmaceutical company WuXi AppTec Group is partnering with Merck Serono, a subsidiary of company Merck KGaA, to launch a pharma and biotech startup incubator in Israel in early 2018. Israel-born businessman Mori Arkin and life sciences-focused venture capital fund Pontifax Ltd. will also be part of the venture. The plans were declared last week in an event held by the partners in Tel Aviv. Named “Explore Bio”, the incubator will be located at Merck Serono’s existing complex in Yavne, a town in central Israel. One person familiar with the matter said the incubator is already evaluating investments in several Israeli firms and estimated each company will receive an initial investment of several million dollars. In addition to funding, the incubator will assist with drug development, provide feasibility and market demand assessments, and offer early-stage mentoring. The incubator will not rely on government support, but will be funded entirely by the partners. Currently, there is no upper limit to the number of participating companies. 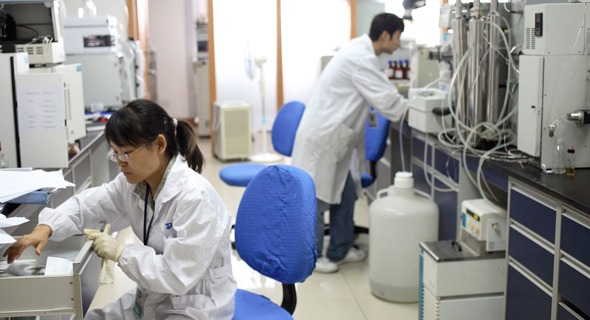 Established in 2000, WuXi AppTec is one of the largest clinical research providers in the world, employing 18,000 employees in 28 offices around the world. The company focuses on biological, cellular and genome medical research as well as on medical equipment inspections.